Your teeth are meant to last for a lifetime with the right care; however, the care you need is constantly going to change. Over the years, your oral health needs will become more diverse, which can lead to you having to be referred to specialists to get the services you rely on. This not only complicates your dental care but can be very inconvenient. To ensure all your needs are met from one location, you need a highly qualified and trained dentist in San Marcos. Dr. Nelson Y. Howard is the dentist you need. He can take care of all your requirements—from general dentistry to emergencies and cosmetic procedures. Dr. Nelson earned is dental degree from the UCLA School of Dentistry in 1986. Afterward, he competed a General Practice Residency at the V.A. Medical Center in West Los Angeles. Now, he operates two full service dental practices, offering a diversity of specialties to handle all your dental needs with the integrity and high-quality care that you deserve. Due to his exceptional qualifications and reputation, he is one of the first dentists in North San Diego County to be an Accredited Member of the American Academy of Cosmetic Dentistry. Only about 370 dentists world-wide have earned this recognition. His clinical excellence is supported by his exceptional skillsets and deep commitment to the Art and Science of Cosmetic Dentistry to create healthy, beautiful smiles. He has completed thousands of hours of continued education courses to remain well-versed in the latest dental advancements and methods to provide superior services to his patients. Through his additional training, he remains an active member of the American Academy of Implant Dentistry and the Dental Organization for Conscious Sedation. In addition to his vast skillset, he also embraces the latest technologies to provide accurate and precise diagnosis and treatments. As an award-winning and highly-acclaimed dentist, he can meet the needs of all patients—not matter how complex or diverse they may be. Now, you can get all the services you need for one trusted and qualified dental office. In addition to preventive and restorative dentistry, you will also benefit from cosmetic procedures to ensure that your smile looks its very best. However, if you require more specialized areas of care, he also provides laser dentistry and dental implants. With your comfort a top priority, he offers sedation dentistry to help you enjoy your time in the office. 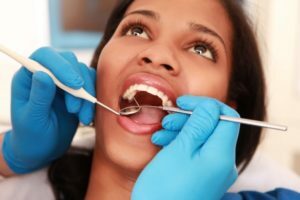 If you are looking for a reputable dentist to handle all your dental needs, choose Dr. Howard today for complete care from one location. Dr. Nelson Y. Howard has been practicing dentistry since 1987, focusing on cosmetic, function, implant, and restorative dentistry. With diverse training and an array of qualifications, he provides complete care to patients in San Marcos and Rancho Bernardo. If you have dental needs that require a specialized approach, contact our office today to speak with Dr. Howard.